Special note: The views, opinions or strategies expressed by the author and those providing comments are theirs alone, and do not necessarily reflect the views, opinions, positions or strategies of Campus to Career. I bring you this resource as just one of the many resources available to you, but am not endorsing the services of the guest blogger. Please use your best common sense when soliciting resume and career advice! Attention December graduates: it’s time to put together a winning application packet that will help you stand out in today’s competitive job market. You’re unique, because you’re graduating at a less common time than many of your peers. May is the traditional month for graduation, so you’re roughly five months ahead of schedule. This may allow you to get a jump on the job market. Plus, you’re job searching at a time when many companies are planning their budgets for the coming year, which means they may be looking at what new jobs they can add. Take advantage of your position. Craft a resume that will truly stand out from the crowd. How can you do this? Follow our handy resume writing tips below. Keep it clean. The layout of your resume matters. If it’s complicated or unorganized, employers aren’t going to spend time deciphering it. They will just throw it away. Use a simple, clean format that clearly highlights your skills and how they benefit the employer. Keep spacing and margins uniform, and use consistent font and sizing across the board. Quanitfy, quantify, quantify. When giving descriptions of duties you completed at past positions, quantify the results of your actions as often as possible. How great was your client’s increase in ROI year over year? How many people did you manage or train? How much did you raise for that fundraising event? Focus on the benefits. No matter how proud you are of your accomplishments, an employer simply doesn’t care unless they can see how it will benefit them. Don’t just list everything you’ve done. Make sure you show how your skills and past experiences will provide value to the company you want to work for. Create targeted content. As you apply to jobs, make certain the content of your resume and cover letter are unique. Don’t create cookie cutter documents for submission to hundreds of companies. Make each company notice that your application packet is specifically targeted to the position they are offering. In addition to following these tips, it’s a good idea to look at high-quality sample resumes to get an idea of what others in your industry are putting in their application documents. Resume examples are great for helping you determine what formatting you like best and how well your skill set matches up against the competition. Putting together a winning resume takes some time, but these resume writing tips will help ensure that your document lands on the desks of the employers you want to work for most. About Darlene: Darlene has been the managing editor of ResumeEdge since its inception in 2004, and the managing editor of JobInterviewEdge since it was launched in March 2010. She has authored 10,000+ resumes/cover letters/CVs for clients at every career stage, from entry-level to CEOs, and in every industry. In addition to being a Certified Professional Resume Writer (CPRW) and industry SME, she is also a multi-published novelist in the contemporary and historical lines for Kensington Publishing in New York and is co-owner, with a New York agent, of The JP Literary Agency. She has worked in Story Direction for Hanna-Barbera Productions, Hollywood, California (with work broadcast on CBS-TV); as a freelance writer for Prentice Hall Publications; as an editor for The Reporter, an award-winning Midwestern newspaper; and as the public relations director for The Petite Corporation, marketing its literary talent. Find out more at http://www.resumeedge.com. Great tips. Thanks for elaborating this topic. excellent article on job search and resume writing, really appreciate it..thank you for your contribution. even if the resume land into human hands i.e. H.R Professional. it has to be mistake proof resume to get you shortlisted and get a interview call!. 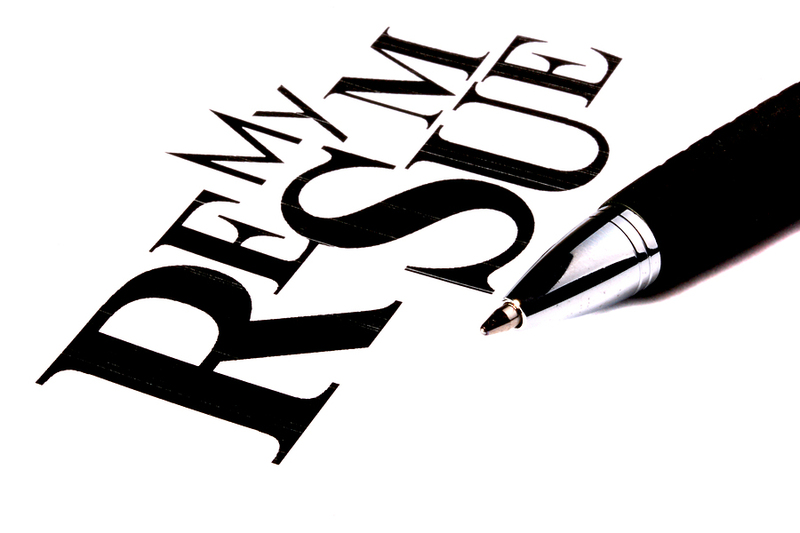 do check my articles on Resume Gaffes to find some hilarious mistakes made in resume mostly inadvertently. Hey I was reading this article and just wanted to say that I like your writing style! I’m a freelance writer myself!